Every Thursday from October thru May from 9 AM - 2 PM, the best local growers and food artisans in our region gather at the Englewood Farmer's Market located in the heart of historic Dearborn St. in Englewood, Florida. It's THE event of the week where you can shop for local and organic fresh Florida produce directly from local farmers, find wild caught Florida seafood from local fisherman, select from seven gourmet bakers including gluten free, taste and sample international artisan food creations, discover the amazing selection of flowers, plants and trees from our green space vendors, and of course enjoy the music and ambiance of a true food and agricultural market experience. It's a great destination to meet your friends and neighbors, shop, and enjoy our fantastic Florida weather! Check out our vendor directory for descriptions of their products and how to contact them directly! OUR MISSION: to promote local Florida growers and agriculturally related products with a focus on our four core values of nutritional health, education, sustainability, and sense of community. OUR PARTNERS: Englewood Community Care Clinic, Englewood Elementary School, Florida Organic Growers Association, Helping Hand Food Bank, and St. David's Food Pantry. 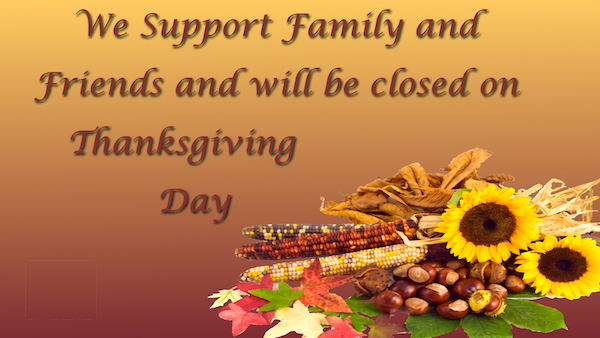 OUR SPONSORS: Englewood Community Hospital, Englewood CRA, and the Friends of Sarasota County Parks. 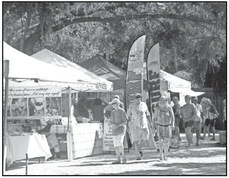 ENGLEWOOD — Sarasota County is seeking a new balance for Englewood’s farmers markets. County commissioners will consider changing a county ordinance that will limit the number of arts and crafts, jewelry, health and health services, and other non-food vendors to only 25 percent of the total number of vendors. The discussion is set for Nov. 6. If the ordinance is changed, 75 percent of the remaining vendors must sell vegetables, honey and cheeses, spices, coffees or any other food product, including artisan and prepared foods. The county ordinance now allows a 50-50 split to the products sold at farmers markets. Farmers markets are held along West Dearborn Street on Thursdays from October to May. The nonprofit Englewood Farmer’s Market was the first in Englewood, opening eight years ago at the Pioneer Plaza on the 300 block of West Dearborn. Joyce Colmar opened her for-profit Dearborn Street Market across the street. Since then other smaller markets have been sprouting up along and around West Dearborn. Englewood’s Community Redevelopment Agency staff has been meeting with market managers in an ongoing discussion to devise a reasonable formula and methodology for determining enforcement. The call for the modification of the farmers markets, CRA manager Debbie Marks said, came from various brickand- mortar Dearborn merchants who felt that the arts and other non-produce vendors undermined their businesses last year. To define the ratio of vendors at the markets, the managers and CRA discussed Tuesday how a 10-by-10-foot space could equate to one unit of vendor’s space. “I have vendors who are paying for five booths,” Colmar said. Will that affect the ratio of food to non-food vendors? And how will county code enforcement determine who is or isn’t in compliance, Englewood Farmer’s Market manager Lee Perron asked. Zeros and ones. Either it is or isn’t (in compliance),” Perron said. Marks suggested a county official could visit a particular market and determine whether the market is meeting the guidelines at the outset of the season. Reporting any subsequent changes would be the responsibility of the managers, she said. “We need to support our locals first and foremost,” DonnaMarie Lee said. Lee manages a small farmers market Thursdays, but she also is co-owner of Bobarino’s Pizzeria on Magnolia Avenue at West Dearborn. “We need to focus on our town first, community first,” she said. Like the other markets on West Dearborn Street Thursday, Joyce Colmar’s Dearborn Street Market saw a large crowd on its opening day. 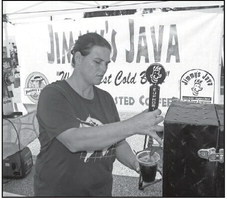 Autumn Glick prepares a cup of Cape Coral-based coffee roaster Jimmy Java’s cold-brew coffee at one of the various farmers markets on West Dearborn Street. It’s Jimmy Java’s first time in Englewood and Glick said Jimmy’s Java will return.